So Zack trudges forward with his life, this time into the Sierra Nevada with a group of professional guides and civilian clients where they meet an array of challenges such as inclement weather, injuries, treacherous rapids, and dwindling supplies. This novel has an earthy and contemporary writing style that reminds me of writers like Norman Maclean and Jim Harrison: “Sunlight washed over his face. Wisps of cirrus drifted east, a golden eagle left its pine-snag perch and flew upriver. Paintbrush, lupine, clarkia, and mariposa lily dappled the drab green slopes with color. 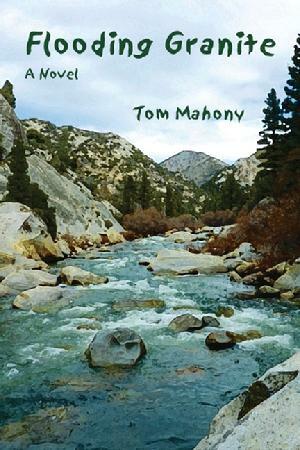 A black bear and two cubs loitered in a riverside meadow, watching the rafts for a moment before shambling off into the bracken.” Cross that style with the adventure and suspense of a film The River Wild and you have Tom Mahony’s novel Flooding Granite in your hands. This title will release over at Casperian Books on October 1st, 2011.